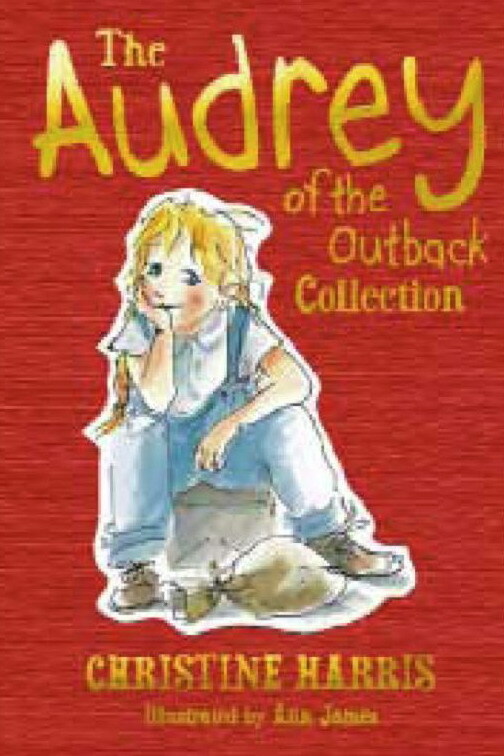 The Audrey of the Outback collection is a cloth bound edition of the three Audrey books. I had previously read Audrey of the Outback and loved it. I wasn’t the only person as it had received the White Haven Award and been shortlisted for the Children’s Book Council of Australia, Book of the Year – Younger Readers award. Audrey is a strong female character. She is inquisitive, funny and extremely lovable. These books serve as a positive writing model for children (and aspiring writers) as well as being captivating stories. I love this series. Audrey gives voice to the big questions, such as; “Do you reckon chooks just stop making eggs? Or do you think they’re still in there and the chooks are holding on tight so they don’t drop out?” (pg16). Audrey’s home is in outback Australia in the 1930’s, which is a fascinating setting that is well used by the author. Most of us have had limited if no contact with the outback. Features such as dust storms, dirt floors, ant nests for ovens, meat safes and of course the outdoor dunny are all incorporated in the daily life. The series being set in the 1930’s also offers some interesting features such as; table manners, clothing, language and steam trains. There is a lot of historical learning available here as well as a lot of fun. There are fascinating jobs that go with the time and place such as being a ‘dogger’, delivering mail by camel, hospitals where children are not allowed to enter, and cleaning the infamous outdoor dunny! In the first book, Audrey of the Outback, we meet Audrey and her outback family and home. It is a touching story of family, with the loss of two sisters ever present in her home and a father that must go away for long periods for work. Each of the family characters are endearing as we laugh with Audrey and her imaginary friend, particularly when her older brother sets the dunny on fire! In Audrey Goes to Town, we share Audrey’s wonder as she encounters a town with houses so close they even touch, a train station, and most exciting of all a general store. Audrey manages to cover meaningful topics with precise language and humour. The third book Audrey’s Big Secret came as complete surprise to me. It is a sensitive and beautiful glance at the issue of the stolen generation from the perspective of two bush girls. In this book Audrey keeps a secret from her family and she is torn between the prospect of lying to her family and upholding a promise of secrecy to a new friend on the run. All parts of these sensitive issues are dealt with the lovely innocence of Audrey. It is a wonderful book. Re-releasing the three books as a collection has had a positive impact for this family. Personally I like the traditional feel of the cloth cover, gold lettering and the ribbon to hold my place. In the age of the downloadable this classic feel is a refreshing difference. My son is reading the series now. I could never get him to read a ‘girls book” before. The change of look, including a more neutral image of Audrey on the front has helped (it used be a picture of Audrey in a dress now it is her in overalls sitting down). He also likes that the pages number to over 500. The collection of books are supported by a number of websites, a book website http://www.audreyoftheoutback.com/, book series blog http://www.audrey-of-the-outback.blogspot.com/ that is up to date and interesting, and an author website http://www.christineharris.com.au. This collection is great value and comes highly recommended.